No organization is immune to cyberattacks. Companies of every size need advanced security capabilities in the form of a security operations center (SOC). And now, any company can obtain state-of-the-art security capabilities to detect and respond to advanced security threats in real time. 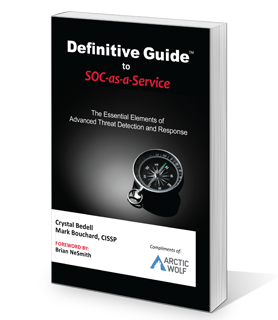 In this book you’ll discover how small to midsize enterprises (SMEs) can gain access to the required people, process, and technology that comprises a SOC-as-a-service. Protect your organization and implement the most essential elements of modern security by deploying a turnkey SOC-as-a-service. Free download for a limited time!